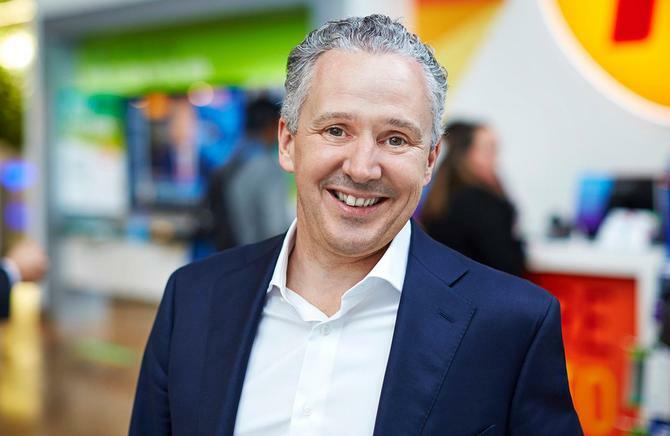 A lift in episodic as well as strategic Net Promoter Scores (NPS) is proof Telstra is acting on its number one objectives of putting customers first, CEO, Andy Penn, claims. The ASX-listed telco Telstra reported strong results for the financial year, with total income up 4.3 per cent to $28.2 billion, or 5.9 per cent excluding regulatory changes. EBITDA also increased 2 per cent to $10.7bn on a reported basis and 4.5 per cent on a guidance basis, bringing net profits after tax to $3.9bn. Following a dip in its NPS results in the first half, Telstra CEO, Andrew Penn, said he was pleased to report both numbers increased in its full-year results. Strategic NPS was up 6 points over the past six months, although flat compared to June 2016, while episodic NPS was up 2 points over the past six months and 3 points compared to this time last year. Penn highlighted mobile as a strong segment, noting a modest increase in mobile services revenues over the second half, along with a reduction in post-paid handheld churn. Total mobile revenue however was down 0.2 per cent to $10.1bn, although mobile EBITDA margins held at a solid 43 per cent. New mobile services were up 218,000, including 169,000 post-paid handhelds. Telstra reported continued customer growth across all key segments, with retail fixed broadband services up 312,000 and retail bundles up 224,000. Today, nearly 90 per cent of the telco’s retail fixed broadband customers are on a bundle. The percentage of those on an entertainment bundle grew by over 50 per cent over the last year 12 months to represent one-third of all bundles. NBN was another solid performer, and Telstra added 676,000 new connections over the past year, bringing its line-based NBN market share to 52 per cent. “We have delivered against our guidance and strategy in the context of a highly competitive and dynamic market,” Penn said during his presentation. Telstra is investing $3 billion of incremental capex as part of efforts to improve the customer experience through a network upgrades as well as digitisation of systems and interactions. Network infrastructure has been the core focus of early investment, prompted by a number of high-profile service failures last year. About $750m has been sent so far on extending Telstra’s 4GX rollout, laying the foundation for a 5G network, improving resiliency and redundancy, and improving ADSL speeds to better cope with video content. Total capex over the three years to June 2019 is expected to exceed $15 billion, delivering an annual financial benefit of at least $500m by FY21, the company stated. New products on offer to customers include a programmable network for enterprise clients, and Telstra TV2 for retail customers, a single device that allows users to search free to air TV, catch-up and streaming services. Penn said a TV mobile app to accompany the device will also give users a linked experience at home or while mobile and personalise based on each customer’s usage patterns. Penn also noted the work done to reposition the Telstra brand under its ‘brand 3.0’ initiative headed by Joe Pollard. “When asked about Telstra as a provider of world-leading technology solutions, Telstra’s brand perception increased 8 per cent, 10 per cent and 27 per cent respectively in consumer, SME and enterprise over the last 12 months,” he said. Moving forward, Telstra’s list of priorities include extending its Belong Mobile offering to the price sensitive market, keeping up with digital disruption, and capitalising on the rapid rollout of the NBN. Penn also flagged adtech as an area of growth among Telstra’s technology innovation efforts, and noted its ventures arm invested more than $300m in 45 technology startups. Its Muru-D accelerator, meanwhile, has helped launch 77 new businesses.